The Cotuit Federated Church seeks to help our children grow in their love and knowledge of the God we know in Jesus Christ. We are equipped with a wonderful team of faithful, dedicated teachers. All staff and volunteers are CORI checked and follow our Safe Church practices. Church school students begin worship with their families in the sanctuary. Following a special Children’s Moment, they gather to learn about Jesus and a love of God. Children reunite with their families for coffee hour following the worship service. On communion Sundays, children return to worship to break bread and share the cup of blessing with the rest of the congregation. The communion table is open to people of all ages. 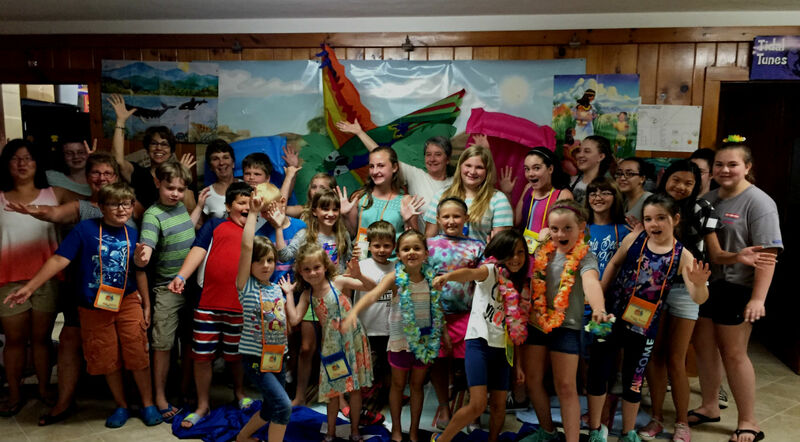 In the summer, we offer Vacation Bible School for a week-long experience of learning about God. Each child is an individual with their own rate and style of learning. Cotuit Nursery School strives to have children learn to live comfortably within a group without losing their own individuality. Children’s ideas allow them to make sense of the world — to think about things, plan, make predictions, and decide. Cotuit Nursery School’s program works toward the development of the whole child, including their ability to direct themselves. Directed play promotes intellectual and emotional development, as well as physical and social well-being. In all of this, teachers strive to make the most of children’s learning potential and help the children build positive self-images as a learners. The Cotuit Nursery School offers a Monday, Wednesday and Friday class or a Tuesday and Thursday class from 9am-12pm during the school year. Confirmation — Confirmation provides an opportunity for youth to explore the life of faith: youth learn about the bible and prayer, worship and mission & justice, church history and what it means to live in community. The youth learn about God, Jesus, and the Spirit. They explore their call and vocation, and what makes life most meaningful and worth-living. They visit other houses of worship, go on retreat, and have service projects in the community. The class is open to youth in grades 8-12. This class offered every other year provides meaningful spiritual experience for the young people in their lives. Our Whole Lives — Honest, accurate information about sexuality changes lives. It dismantles stereotypes and assumptions, builds self-acceptance and self-esteem, fosters healthy relationships, improves decision making, and has the potential to save lives. For these reasons and more, we are proud to offer Our Whole Lives (OWL), a comprehensive, lifespan sexuality education curricula for use in both secular settings and faith communities. During the program year, Rev. Ballou leads Bible studies and small group discussions for participants to be transformed by God’s Word. Sometimes the study is an intensive course that lasts the entire program year like Disciple: Becoming Disciples through Bible Study or Jesus in the Gospels. Sometimes the courses are shorter with a focus on topics like forgiveness, prayer, or discipleship. Often over the summer, the congregation together reads a book with a sermon series built around that theme. Books have included: Wayne Muller’s Sabbath: Finding Rest, Renewal, and Delight in Our Busy Lives, Richard Rohr’s Breathing Under Water: Spirituality and the Twelve Steps, or Barbara Brown Taylor’s An Altar in the World: A Geography of Faith. Peppered through the calendar year, there are opportunities for Second Hour educational opportunities following worship. These range from conversations on racial equality to conversations with denominational leaders to the creation of the Kindness Rocks Project.